The Resort 2014 (aka Cruise 2014) is still taking place. I think this is the collection that stays in stores for more time than the famous Spring/Summer or Fall/Winter Collections.Because it has a variety of pieces from swimsuits to trench coats from office wear to cocktail dresses covering every season and every moment. I personally believe Resort collections give the most realistic, wearable designs. Though most of us ignore this collection thinking these are for the people who take luxurious vacations on cruises and it is very expensive. But now designers are targeting everyone and it seems they believe anyone can go on a vacation. Whether this is true or false, we can always take inspiration from anywhere and anything. Of course we don’t have to spend hundreds and thousands of dollars on these. But we can always observe and see where these big labels are heading and what are the trends the top designers are trying to create using their runway. Get Inspired! We can always find something similar in high street or in retail fashion outlets. I have almost checked all the collections showcased so far. 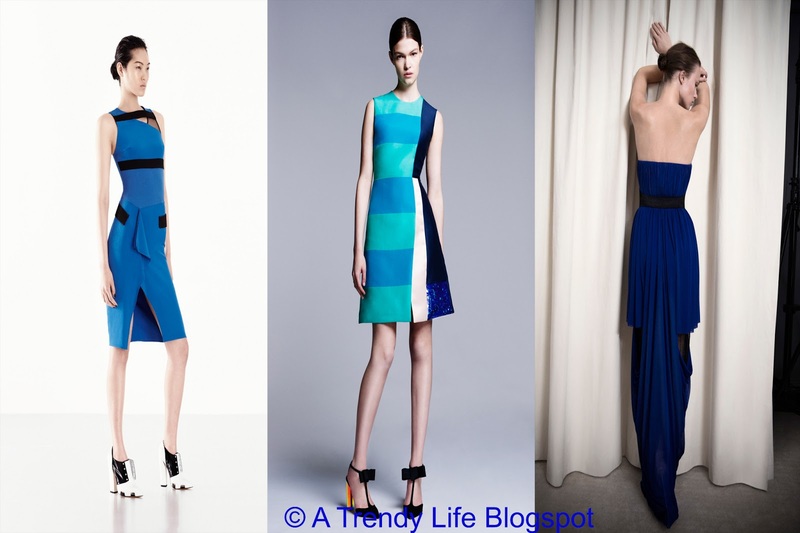 I have selected my favourite trends which have been repeatedly showcased throughout the RESORT 2014 COLLECTION. Here the expected trends are in a bundle. There are plenty of Jumpsuits, Crop Tops & Culottes. What else? Designers have re-engineered the peplum for another round.This collection seems like an engagement between Menswear & Women wear. Yep! 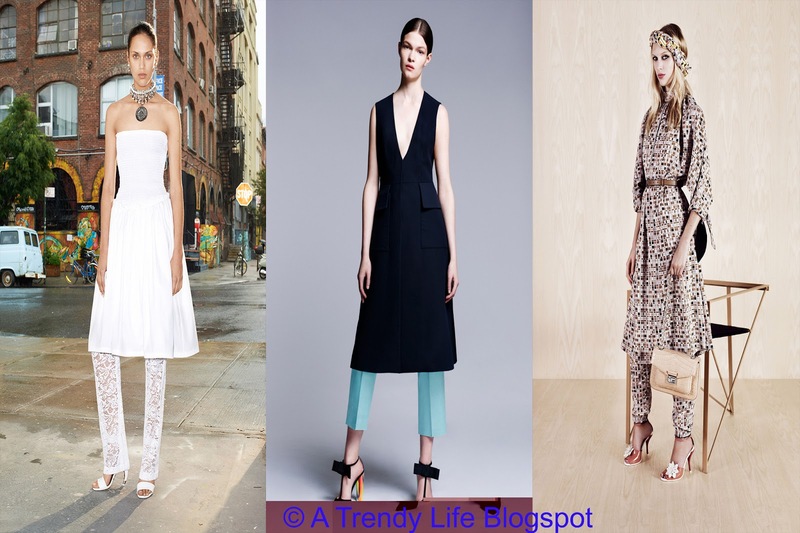 It has Laces, Voluminous Dresses, Maxi Skirts and Culottes, Bold Strapped Footwear and sporty look. It is not going to be out of season so soon. Celebrities specially Miley Cyrus, have already started to wear this piece.It has been spotted in almost all the collections. So why are you still waiting? Go! Grab your piece! You can check a full post on Jumpsuits here. How are you going to call it? Kind of long short? Yes. 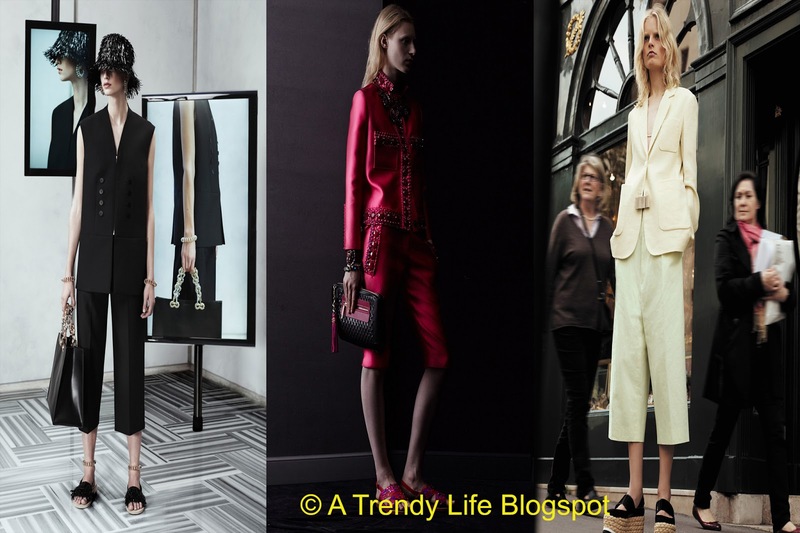 Culottes seem to be the next big trend of the season. 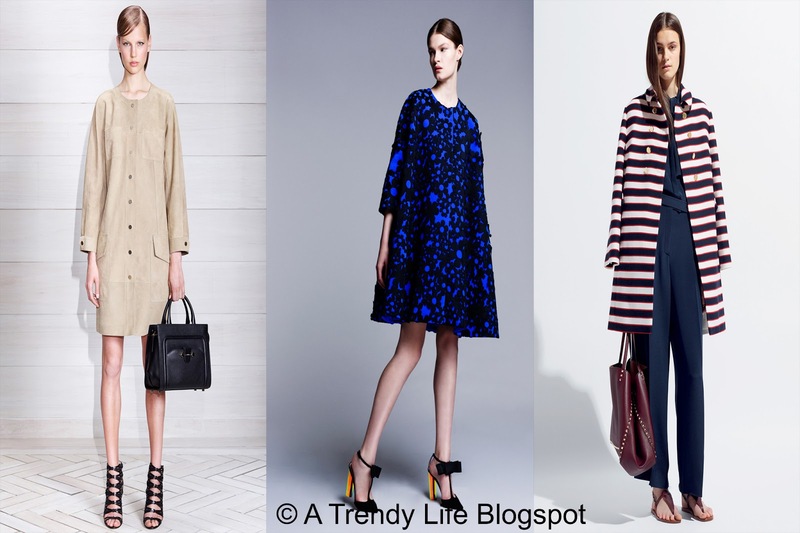 All most all the big labels showcased this style in their Resort 2014 Collection. You can check a post a full post on here. Forget about those boring neutral legs. Get ready to crazy crazy prints to get on your legs. 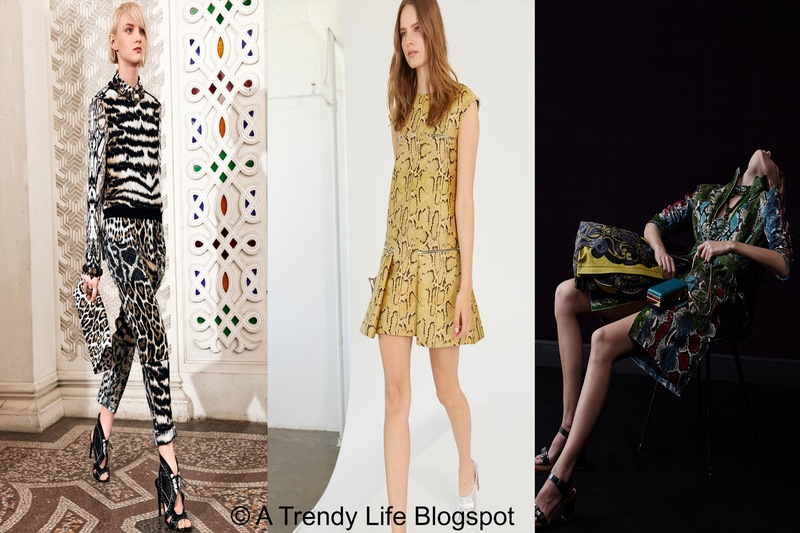 From strips to florals to graphics. 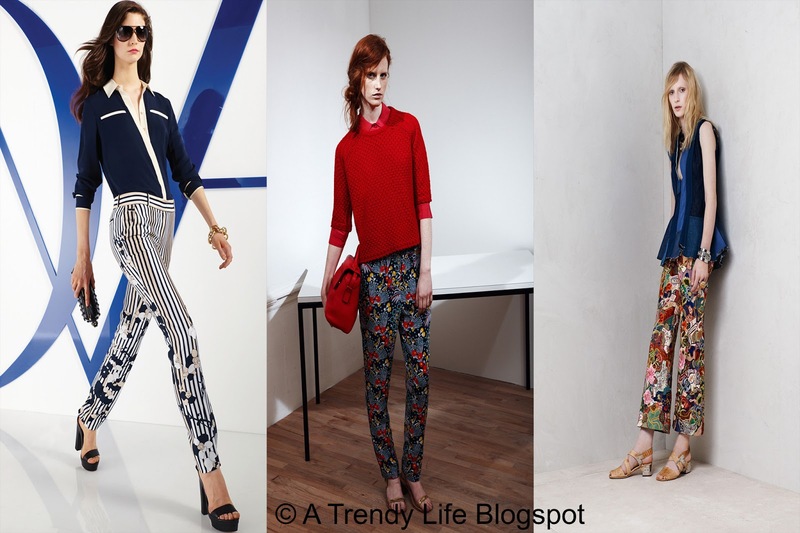 This season leg is all about Patterns.You can check my favourite Printed Pants from Resort 2014 here. 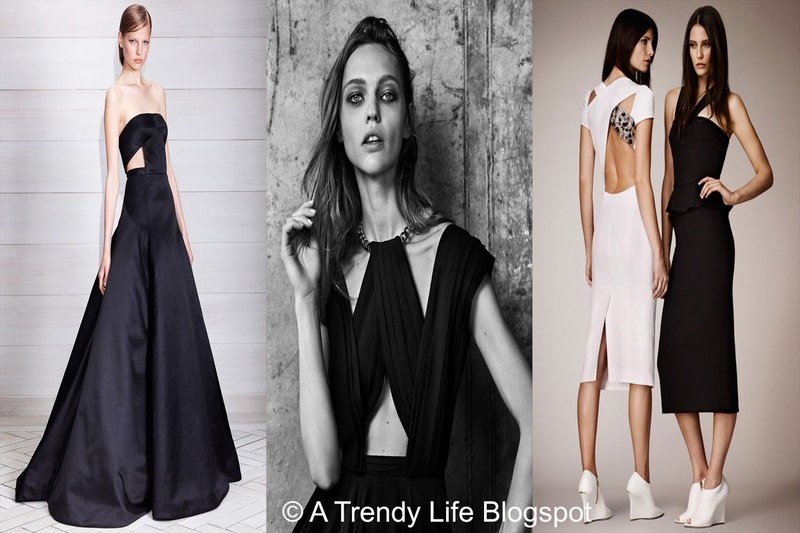 Cutouts give an edgy sexiness to the dresses. 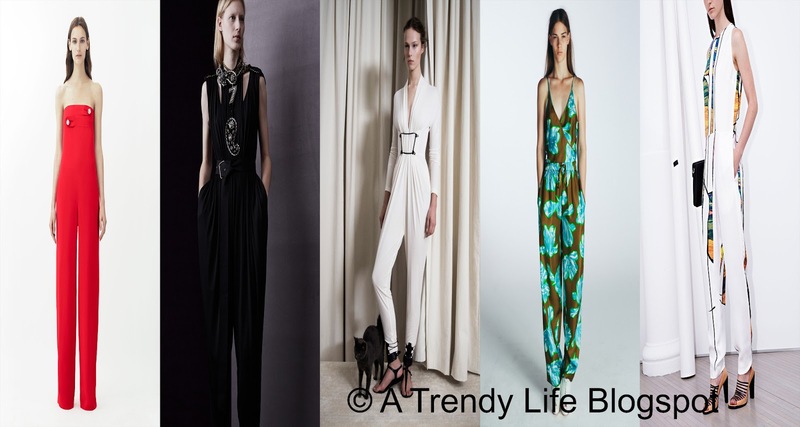 From day dresses to evening gowns we are going to see a lot of cutouts on red carpet as well as on street style in coming months.Chech the Cutout Designs from Resort 2014 here. Lace has been always the popular choice of the designers and it will be. From head to toe covered in lace to a hint of lace near the neck line. 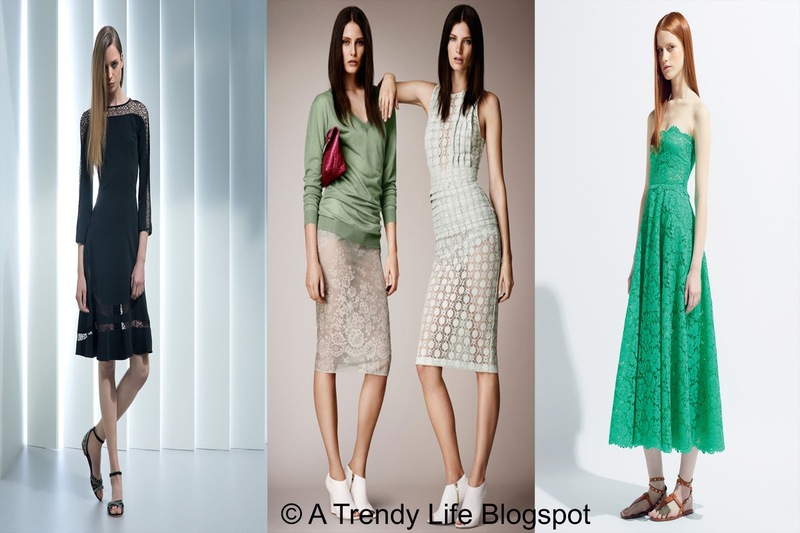 It is still on top in bringing out the feminineness.Check Some other Lace Designs drom Resort Collection 2014 here. Everyone loves a well depicted animal print. I have seen a range of snake skin, zebra & ring lizard skin throughout this collection. Mostly it is presented in Black & White, Earthy Neutral and Pastel colours. Go Ahead! Reveal your inner wild side. The athletic look is still on trend. Sport inspired looks are all over the runway. I feel like contrast seams which gives the illusion of track pants going to make a unique office wear. 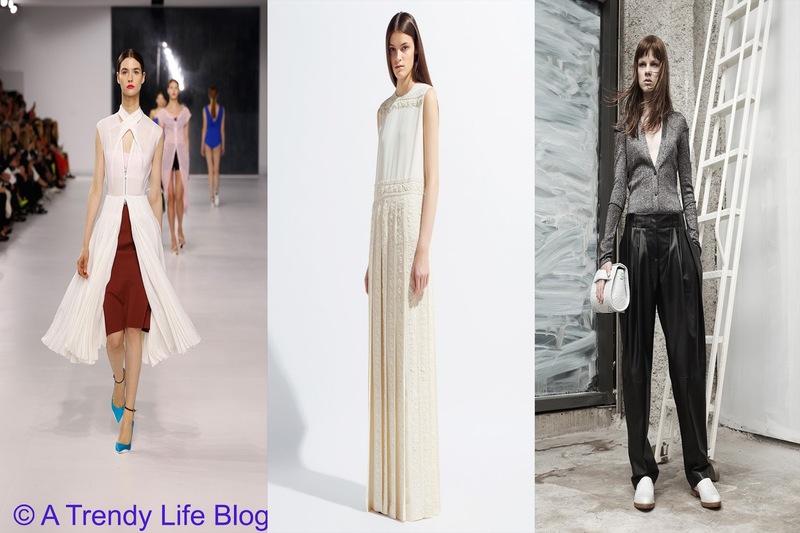 Maxi Skirts with a high slit is going to be a hit in this summer. I could imagine two trends going hand in hand. A detailed crop top and a simple maxi skirt. Sooo Chic! We all know Kate Middleton has already given a spot light for this Balmacaan during her recent outings. (You can check the Best style Moments of Kate Middleton here). Through Resort 2014 Balmacaan emerges as a key outerwear piece. I feel it is going to be a hit trend in the upcoming Fall/Winter Season. 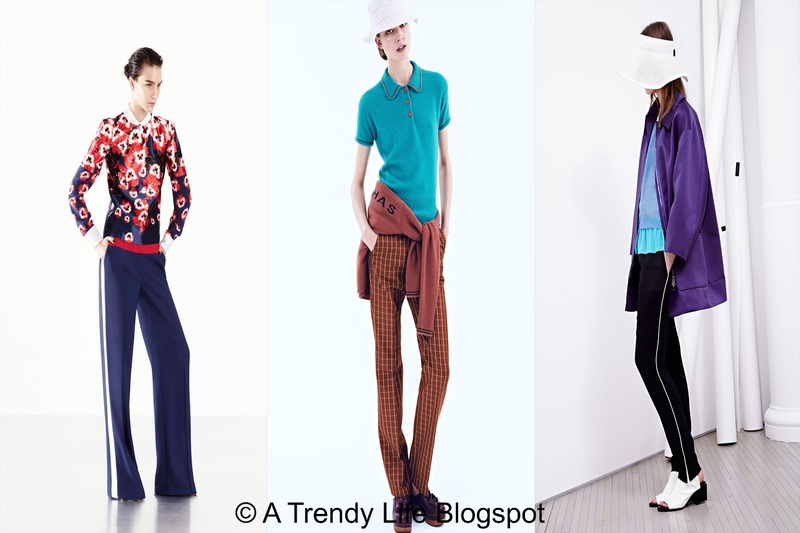 Check Some other Balmacaan Outfits from Resort 2014 here. Though the Gold Market hit its all time low in recent past, Gold material has made hit the runway stronger than before. 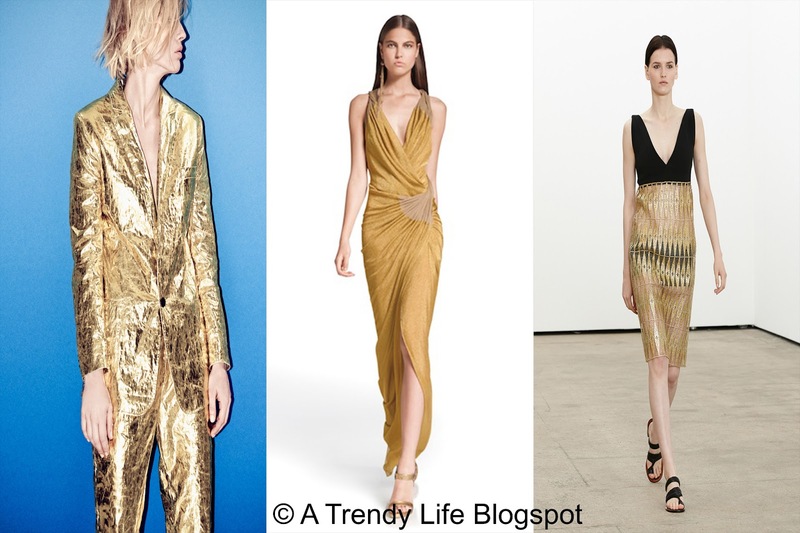 From day time dresses to evening gowns, Gold is shining through the resort collection 2014. Black & White would never be out of trend. 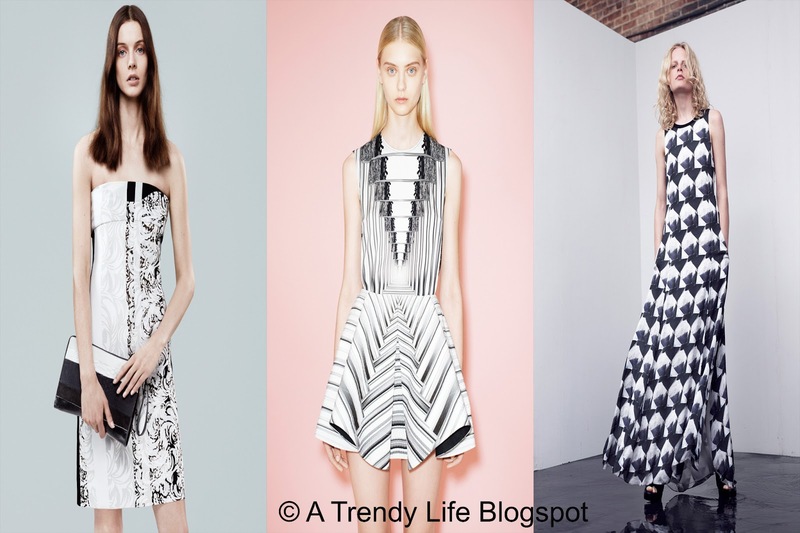 From simple colour blocking black and white pieces to complicated graphical prints, It is again all about black and white.Here are some other Black & White Outfits from Resort 2014. 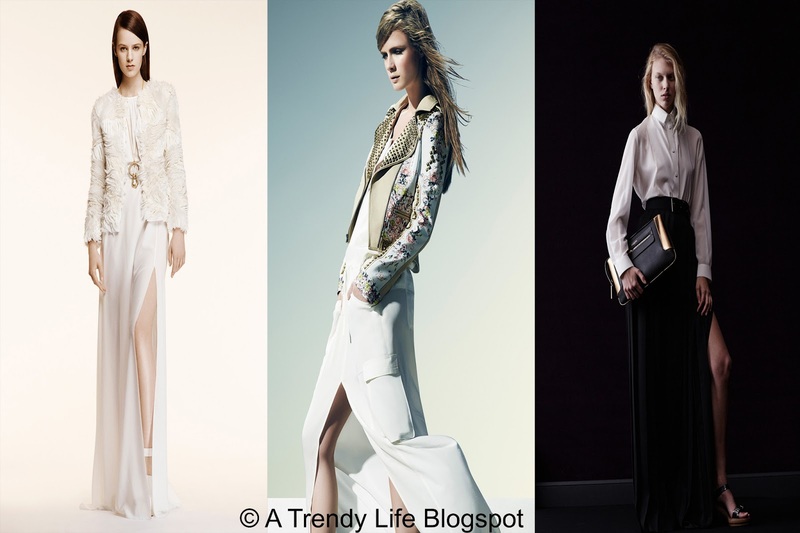 I will be posting individual post on top trends soon with all the looks. So please like my Facebook Page here, So you won’t be missing any of those posts.